Rihanna was spotted at her dentist’s office on January 15. The singer looked as chic as ever in a black and tan ensemble. This is the third time in a row that she’s worn those studded shield sunglasses with her “FENTY” logo on the arms. We still have no concrete information about the shades but the superstar has been teasing fans about them in DMs. I guess we’ll just have to wait and see what this is all about. A new addition to the Bajan beauty’s closet is this shearling leather jacket ($3,900) by Amiri. 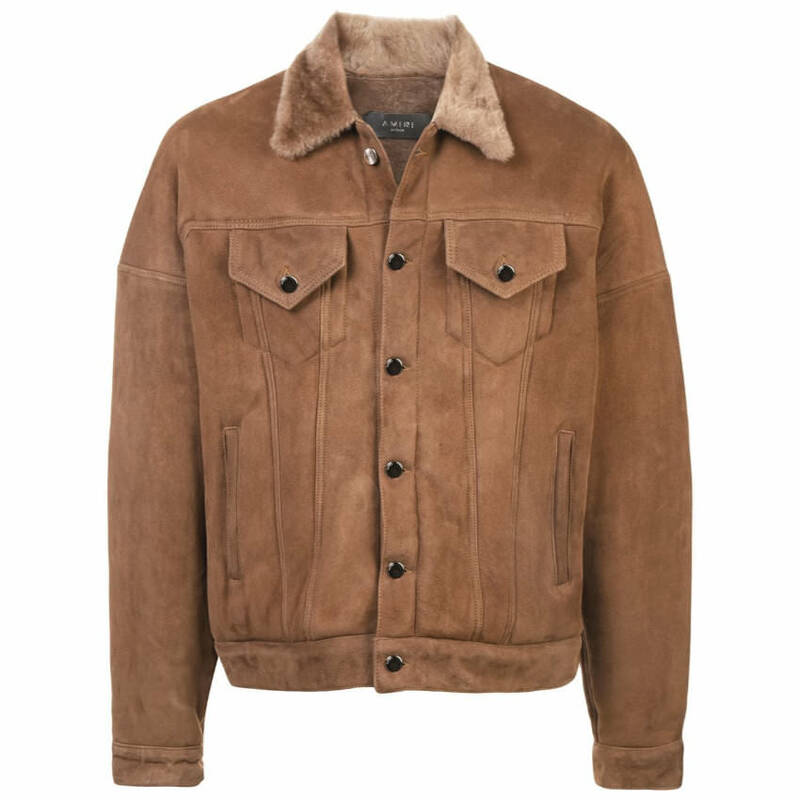 Completely lined in shearling, the brown trucker jacket features an oversize fit, drop shoulders, two front button pockets and two side slit pockets. Rih rocked a black ribbed knit turtleneck with Citizens of Humanity‘s Avedon Slick skinny jeans in Axel (black). These jeans feature a five pocket design and have the brand’s iconic logo stitched onto both back pockets. Rihanna’s exact style is not available online currently but you can get the low-rise ultra skinny from Citizens of Humanity’s website for $198 or the mid-rise version from Selfridges for $260. 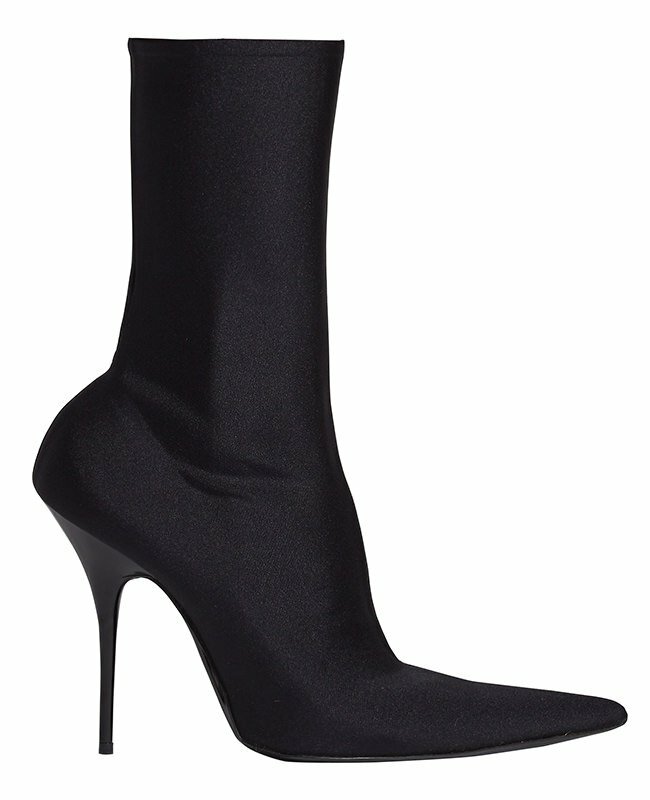 Her shoes are Balenciaga‘s stretch-jersey Knife boots ($1,290). The ankle boots have a pointed toe and a design that looks as though you pulled tights over a pair of pumps. 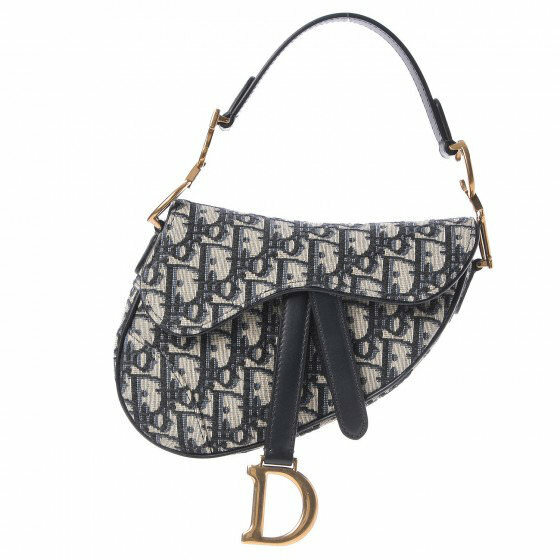 Rih’s Dior bag of the day is the Oblique saddle bag ($2,950). The small handbag has a calfskin top handle, monogram canvas and gold hardware. Rihanna wore hers crossbody using the wide shoulder strap. 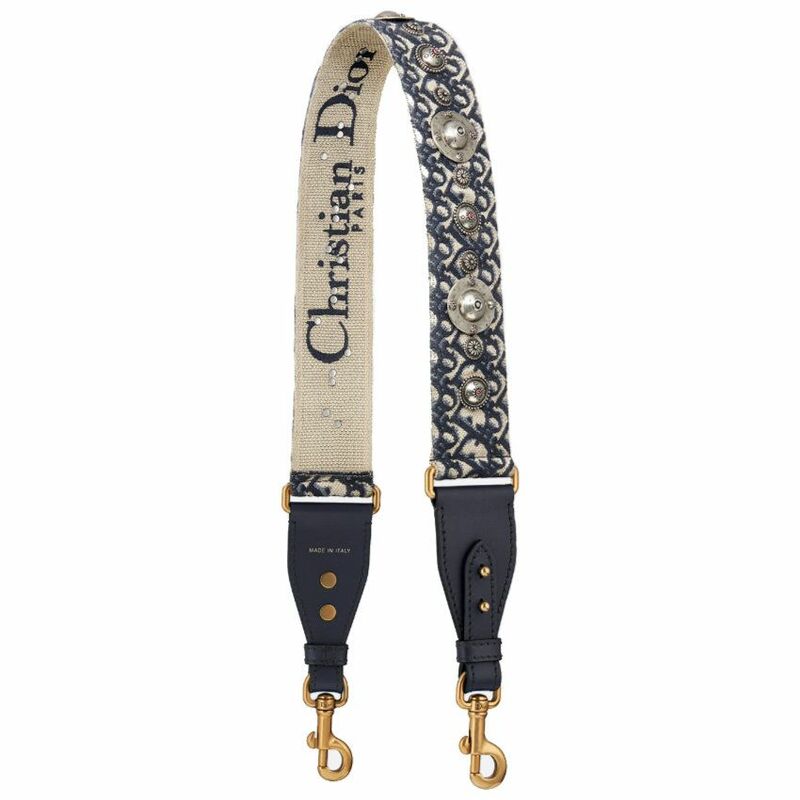 Here’s a look at the shoulder strap, which costs $1,500. It features the same monogram canvas as the bag as well as silver-tone medallion detail and blue calfskin leather. 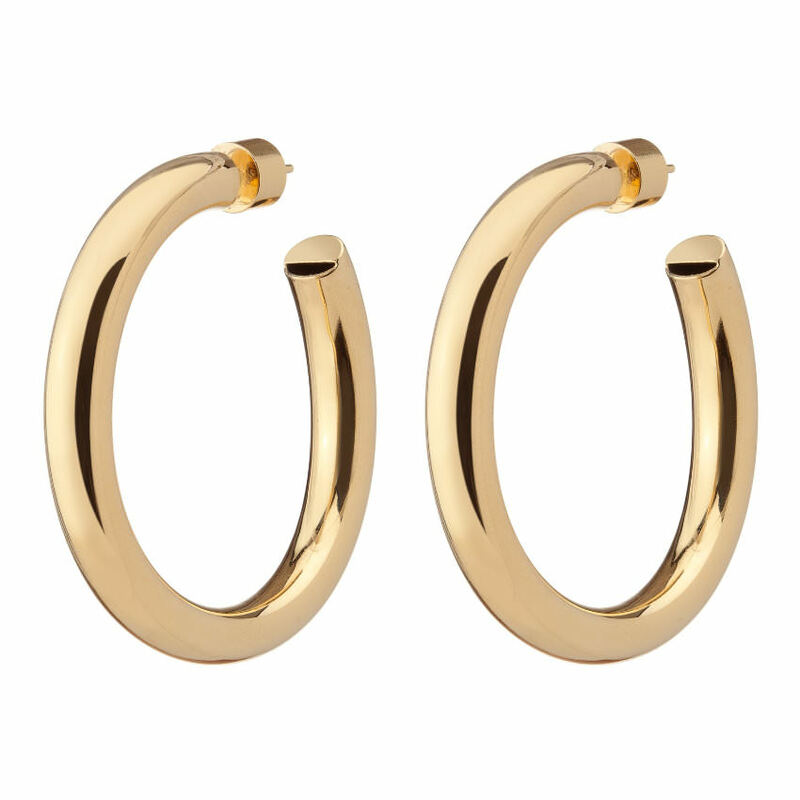 Update: Rihanna wore a pair of Jennifer Fisher‘s Baby Samira hoop earrings. The 6.5mm earrings are plated in either yellow gold, rose gold or silver rhodium.